I've posted about maps of Scotland before; if you follow the different aspects of this blog you'll know I'm rather interested in maps. In June I posted the EU referendum results map. It sharply delineates Scotland. 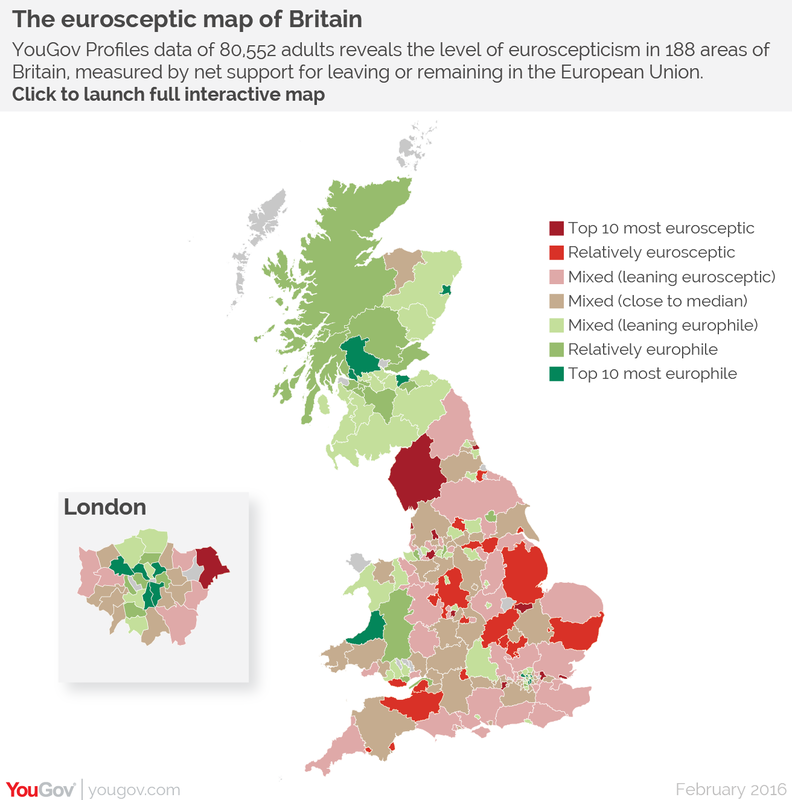 So too did maps of opinion on Europe prior to the vote. Professor Jim Gallagher opines in the Herald today that this clear difference of opinion does not indicate that Scotland is any different from England. I'd disagree, but let's look at some other maps. Of course you may reasonably claim that (apart from the EU referendum, which we've seen before) since the first shows the General Election outcome (SNP landslide in Scotland), while the remaining two show the consequences of that outcome in key parliamentary votes. Nonetheless, they're stark. Here's another. Once again, the border between England and Scotland is sharp and clear - and the border between England and Wales completely invisible. Can you guess what this is? 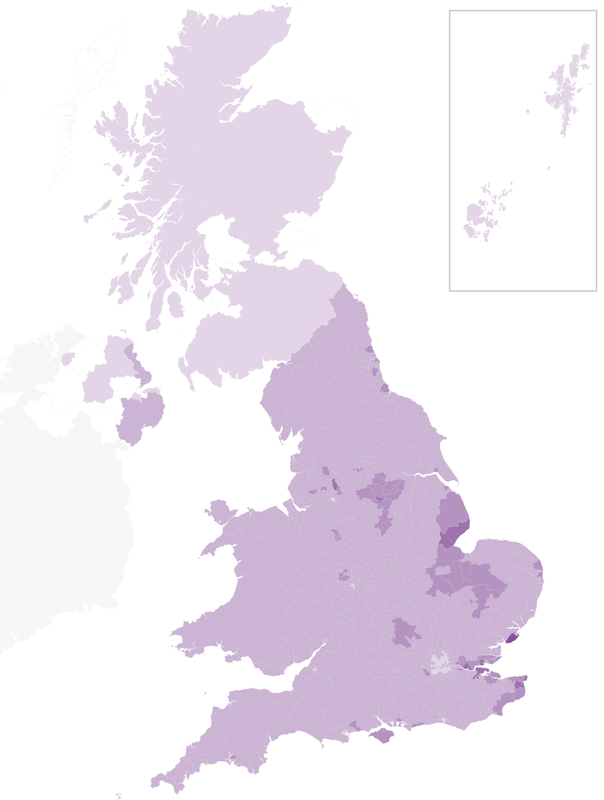 That's a map of the proportion of UKIP voters. Summary: Scots are significantly more pacifist (oppose Trident, seek accountability for war crimes), less anti-immigration (low UKIP vote), more internationalist (support EU membership), and all these things are equally true across the whole of Scotland - even the Conservative-voting areas - while being sharply different from the overwhelming opinion across England. 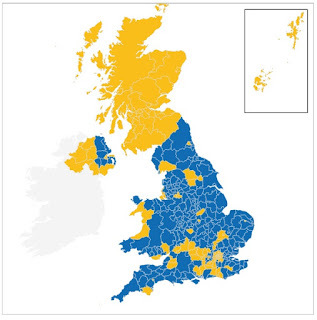 In summary, the learned professor is just plain wrong: Scotland is markedly and systematically different from England. 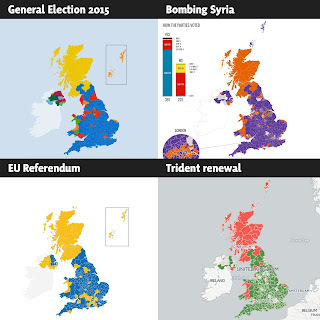 Edited in August 2018 to add one more map which I particularly like. 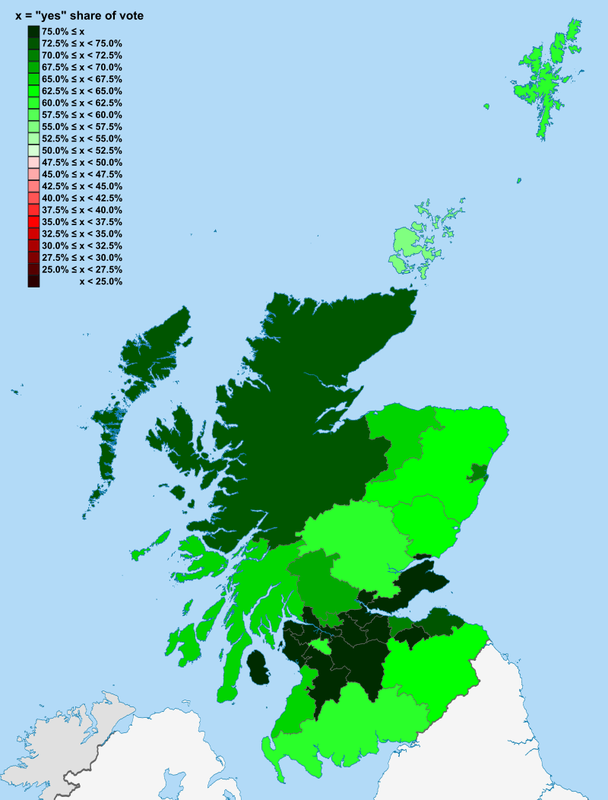 This is data from the 1997 devolution referendum. The areas coloured red (see scale) are those which voted 'No'. I wonder if you can find them? 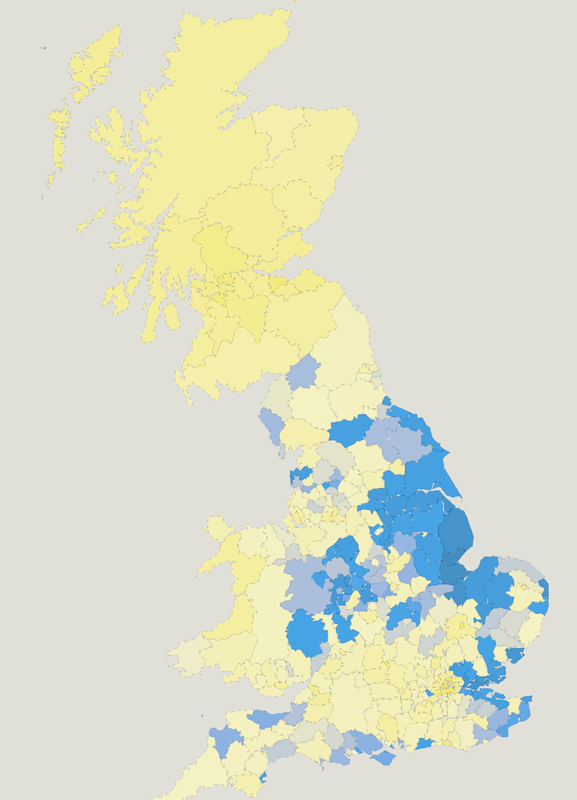 This is Survation data from November 2018. 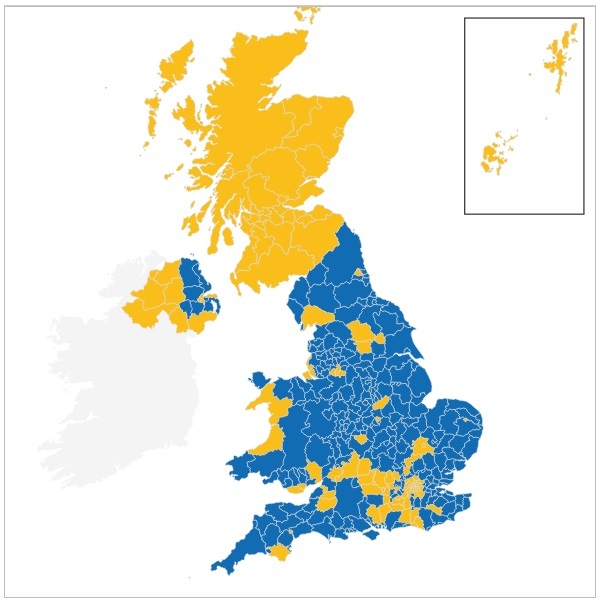 Although much of England has swung to Remain, the border is still clearly visible, with all of Scotland still much more Remain than almost anywhere in England. 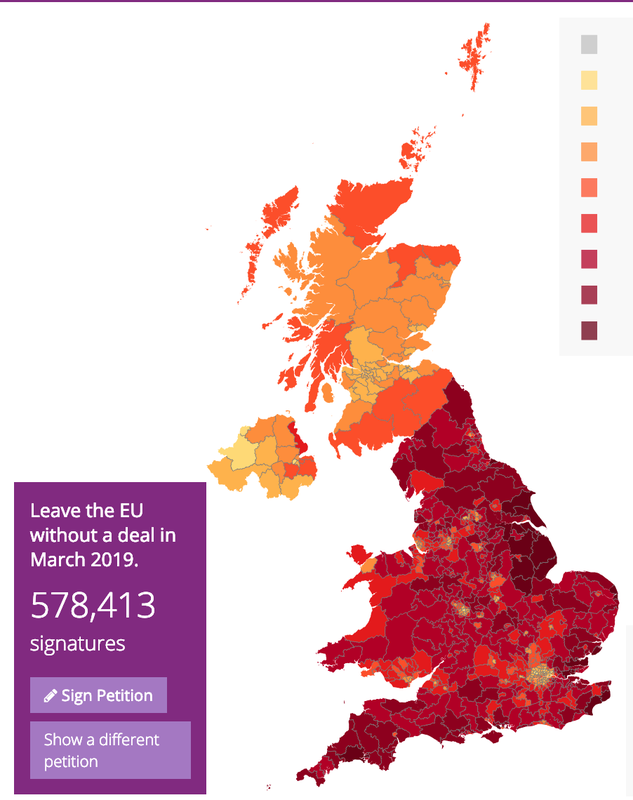 This is a map of the signatories to a petition for a no deal Brexit, 27th March 2019.